KFC have a special knack when it comes to innovative technology. Last year we saw them launch the bluetooth enabled keyboard trays that once synced with any smartphone, let you type and munch at the same time. This time around, the company has again come up with another unique solution for its customers. 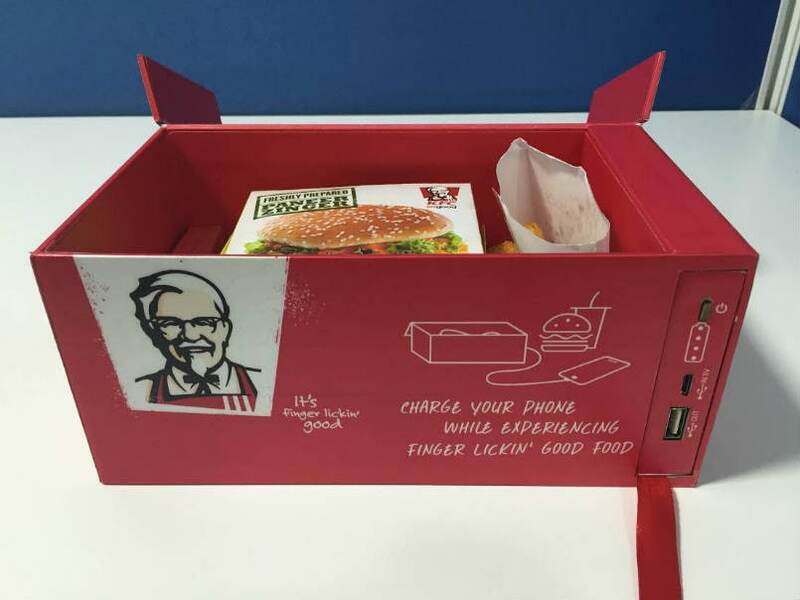 KFC India is introducing limited edition take away boxes that come with built-in charging ports so you can recharge your phone and other devices while you are recharging yourself. The boxes called, “Watt a Box” carry a small battery power bank (actual mAh is not yet known) that can easily give your phone some juice while you are munching away on those Zingers. The box comes with magnetic flaps and contains your usual meal but has a power bank integrated on its side. The Watt a Box also comes with micro-USB and Lightning cables to charge your iPhone or Android smartphones. The best thing is the power bank is removable, so you can carry it along. 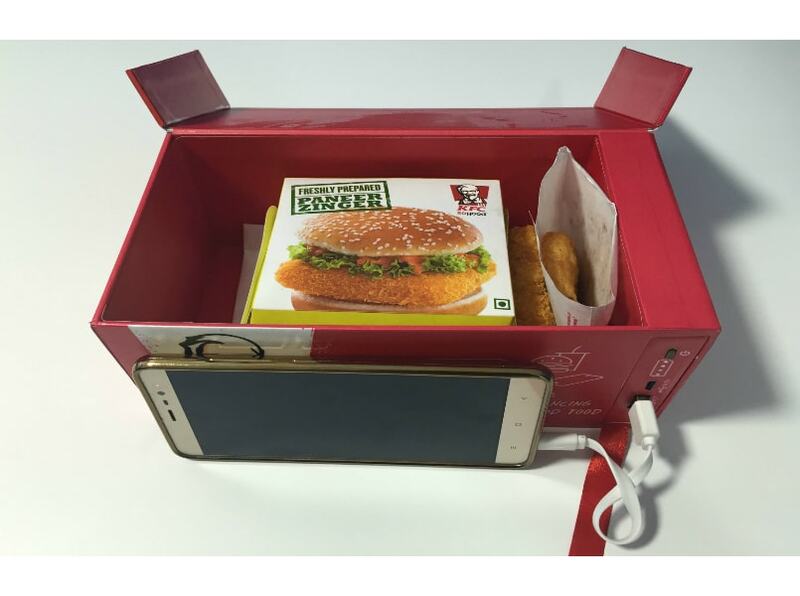 So if you happen to be in either Delhi or Mumbai and want to enjoy some fried chicken and Zinger while getting your smartphone charged, KFC has you covered with its 5-in-1 meal box. The limited edition Watt a Box can only be won through contests held at select stores in Delhi and Mumbai, or through an online contest on KFC India’s Facebook page.